is a law firm in Saint Charles, MO. Deborah J. Tomich and Jane Ellen Tomich are ideal divorce and family law attorneys. If you are dealing with a complex family law issue, such as a divorce or a custody battle, the decisions you make are critical and can dramatically affect your family's future. Get the advice you need to make the right choice for you and your family. The attorneys at Tomich Law Firm, LLC have more than 50 years of combined experience representing clients in family law cases across St. Charles and St. Louis Counties. ​Don't let your problems control your life. Whether you are anticipating the joys of adoption, experiencing the pain of martial conflict, or facing another legal issue close to home, the attorneys at Tomich Law Firm, LLC listen to your needs, understand your concerns and hellp you reach solutions to your legal problem. Throughout your divorce, our attorneys stand by you. We accompany you through mediation or litigation, depending on which is likely to obtain the best possible results for you - including fair distribution of assets, division of the marital home, child support payments and child custody rights. Alimony: Divorce is difficult, but it should not lead to a financial crisis. At Tomich Law Firm, LLC, we help you establish fair and equitable spousal support so you can continue to live as comfortably as you did before your marriage ended. Adoption: Adopting a child brings happiness to families, but when something goes wrong, there is a chance of substantial heartache. We assist families with the complex legal process of adoption, so you can feel secure about your child's future well-being. Mediation: Mediation puts the decisions in your hands, and can often provide more expedient, predictable results than a trial. We can help you obtain the most favorable divorce settlement using mediation. Pre- and post-nupital agreements: When you marry your beloved, you may not foresee the potential problems that can eventually lead to divorce. We expect the unexpected and draft premarital agreements that protect both spouses' interests and that can alleviate some of the stress should you ever divorce. At the St. Charles, Missouri office of Tomich Law Firm, LLC, we are dedicated to providing clients with the highest caliber representation in all phases of litigation, including appeals. We excel at appealing adverse trial court rulings and also successfully defend lower court victories on appeal. We do so by keeping abreast of litigation trends and ever-changing case law. Our attorneys monitor each case the firm tries for potential points of appeal, ensuring any errors against us are preserved for post-trial relief and that we are prepared to defend rulings in our favor. Likewise, we review any cases we accept from other firms for challenges such as: Sufficiency of the evidence, Proper legal interpretation, Improperly admitted testimony, Expert admission, Procedural errors, and Faulty jury instructions. Individualized Representation - every legal matter needs an individual approach, one suited to your needs. Some cases require an assertive approach, such as those involving an unreasonable spouse or parent. In other situations, an approach that helps people resolve their problems in a non-confrontational manner is most effective. The attorneys at Tomich Law Firm. LLC will take the time to discuss the best approach to your family law problems. Every client deserves the choice and option about how his or her case is handled. We are experienced in all types of cases and together we can find the best approach to your situation. Attention to detail - We thoroughly research and prepare your case. We look at every detail, no matter how small, and we share that information with you so you know how your case is progressing every step of the way. Educate and empower - The attorneys at Tomich Law Firm, LLC take the time to educate their clients. You need to know the law that affects your family. We guide our clients through the intricacies of the legal process, with a focus on providing you solution to your legal problems. Experienced representation - There is no substitute for experience. 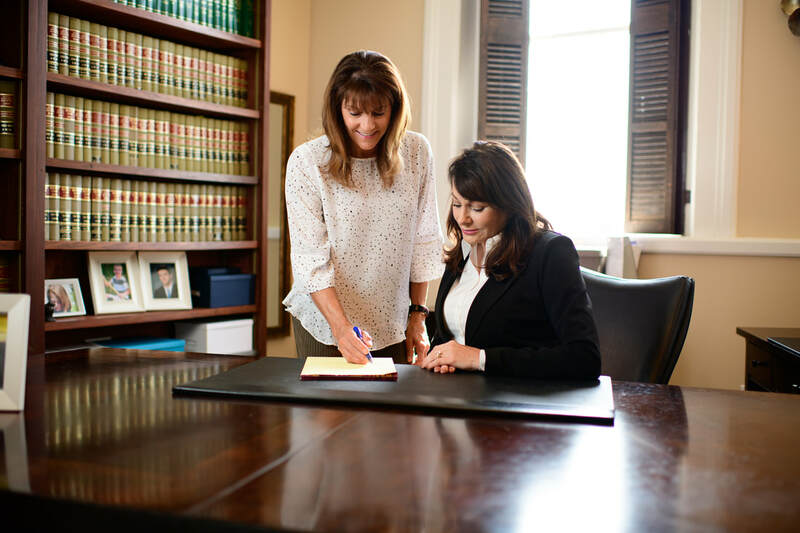 With our attorneys' more than 50 years of legal work combined, Tomich Law Firm, LLC has the extensive knowledge of the law necessary to successfully handle your case. Respected approach to the law - Deborah Tomich has received AV® Preeminent™ Peer Review Ratings by Martindale-Hubbell®, the highest recognition possible in the legal industry, for her professionalism and ethic. Jane E. Tomich is BV® Distinguished Peer Review Rated by Martindale-Hubbell®.